A man form St. Clair County is in custody after striking a Lexington area business with his vehicle while under the influence of alcohol. 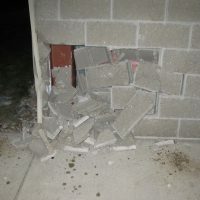 According to the Sanilac County Sheriff’s Department, the Dollar General Store in Worth Township was struck around 8pm Sunday night with authorities obtaining a license plate number and description of the suspect. Authorities were lead to a residence in Kimball Township , where they attempted to take the 49 year old man into custody. The man was not at the house but was spotted driving the suspected vehicle in the local area. In conjunction with St. Clair County Sheriff’s deputies, the suspect was arrested in a traffic stop on Lapeer Road near Wadhams in Kimball Township. Charges, including operating while intoxicated, and various other traffic charges, will be forwarded to the Sanilac County prosecutor’s office.